From casual enthusiasts to diehard fans, most of us who take an interest in the world of technology spend a good deal of time thinking about the devices that we don’t yet own – and of course, it’s pretty natural for us to lust after the best, the biggest, and often the most expensive examples that come to market. It should go without saying, of course, that the very best experiences and the most impressive performance can generally be found on the most costly high-end devices – but not everyone can afford a flagship-class phone, or a top-of-the-line PC or tablet. Many buyers have far more modest budgets, and can realistically aspire only to owning a device that we generally refer to as ‘entry-level’ or ‘low-end’. But does that mean that buyers with tiny budgets must suffer with nothing but the very worst that the tech world has to offer? Not at all. Let’s be clear – there are any number of truly terrible devices with tiny price tags that deserve to be called ‘low-end’ (and rightfully deserve to be called far worse) – built with the cheapest components, and often loaded with poorly optimized software that provides nothing but a miserable experience to buyers who can’t afford any better. 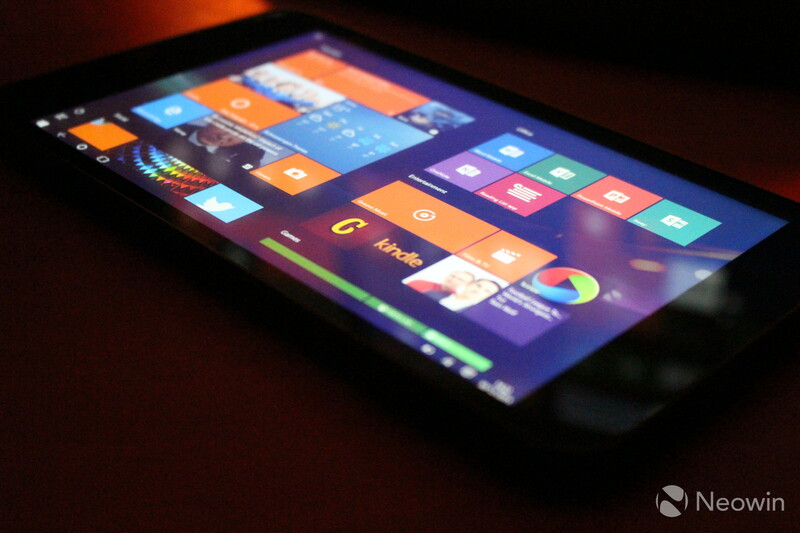 For example, I had a quick hands-on with the Acer Liquid M220 low-cost Windows Phone earlier this year, and a few minutes of staring at its utterly wretched screen was enough to make me feel sorry for people who think that such terrible hardware is as good as it gets if you don’t have the means to spend more on premium devices. But two of my favorite devices this year have each been available to buy for less than $60, and while they certainly can’t challenge flagship-class counterparts that cost many times more when it comes to performance or specs, they’ve convincingly demonstrated to me that you don’t have to pay a fortune for your hardware to enjoy a remarkably complete and pleasant experience that gets the job done. 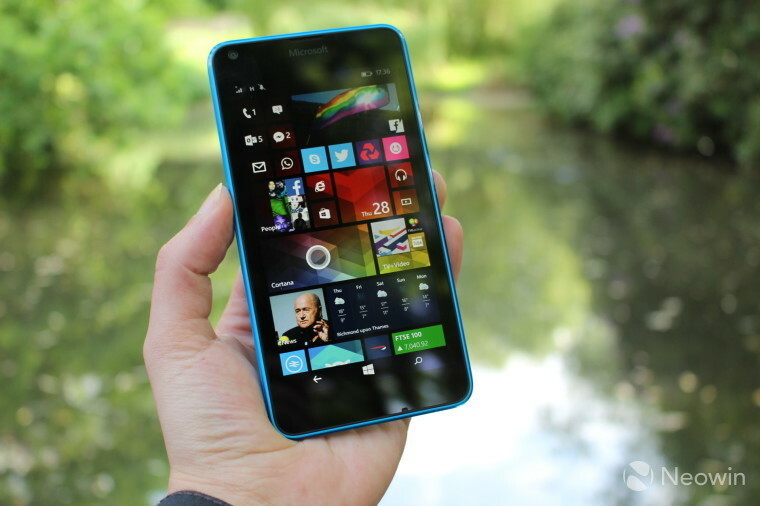 I spent several weeks testing the Lumia 640 earlier this year, before publishing my review of the device. The 640 offered many notable improvements over the earlier Lumia 63x series; those older handsets were certainly impressive in many ways, but were hindered by some very poor decisions by Nokia. There was no flash for the rear camera, no front-facing camera, and no ambient light sensor (forcing the user to either constantly adjust screen brightness manually, or drain the bright battery by leaving the brightness up all the time), as well as just 512MB of RAM on the 630 and 635 (although a 1GB variant of the latter was sold in some markets). As a result, buyers of the 63x series got an affordable phone with a decent display, good battery life, solid performance, and a surprisingly low price tag – but they were forced to endure some painful compromises. Nokia’s decisions made even less sense when you consider that its execrable X2 Android phone, which was actually cheaper than the 63x, nonetheless included a selfie cam, LED flash and light sensor. 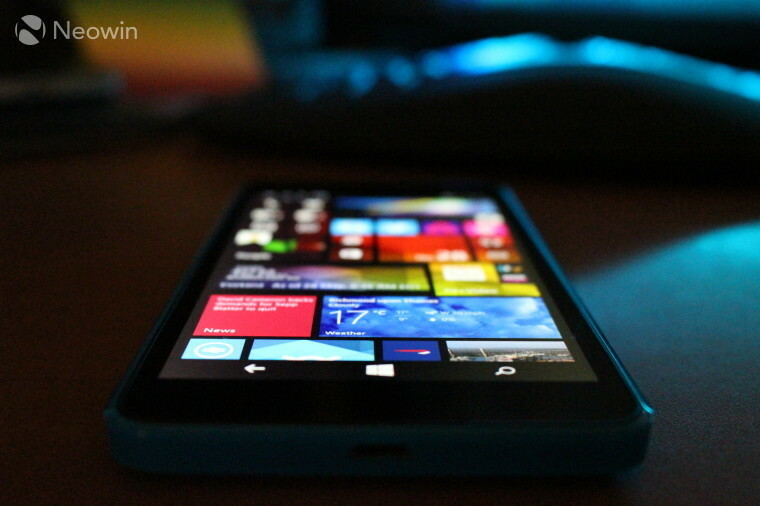 Despite its development beginning under Nokia, before Microsoft's acquisition was completed, the Lumia 640 turned out far superior to the earlier Nokia-branded devices. Indeed, with the exception of the still-absent physical camera button – a design decision that I still find painfully stupid on low-cost Lumias – none of the negatives that I noted in my review demanded any real compromises from the user. 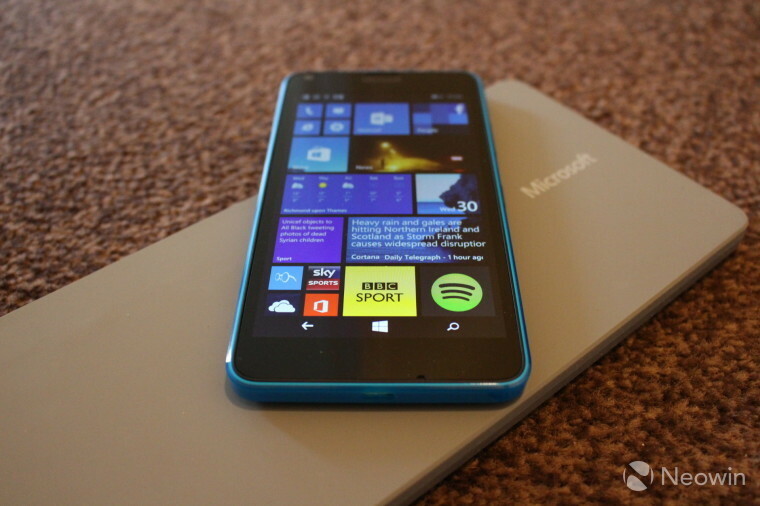 The Lumia 640 was consequently a genuine delight to use. I loved its beautiful 5-inch HD (1280x720px) display, which offered superb viewing angles, surprisingly rich contrasts and vibrant colors. The Snapdragon 400 processor – rather than the entry-level Snapdragon 200 – provided excellent performance for a low-cost device; the 640 handled everything I ever needed to throw at it, from editing documents and switching between apps, to playing graphics-heavy games without a hint of stutter or lag. Call quality was outstanding too, but by far my greatest surprise in testing the Lumia 640 was its battery life, which is among the best of any handset that I’ve ever used. Unlike my Lumia 930, which was my main handset at the time – and which would frequently spit out low-battery warnings long before the end of the day – I was able to consistently count on the 640 to get me right through the day, and then some. Even the camera managed to impress – although, unsurprisingly, it did struggle in low-light conditions. Inevitably, any low-cost device – however good it may be – won’t be able to keep up with more expensive and more capable hardware in every respect. But therein lies the lesson when it comes to considering affordable devices – there is always the need to adjust one’s expectations. If you approach a device like the Lumia 640 expecting it to match a flagship-class handset across the board, you’ll be disappointed. But if your expectations are more realistic, you may well be surprised by what such affordable hardware can offer. Considering how little the 640 now costs in some parts of the world, I’d certainly recommend it to others. In the United States, for example, it’s been priced as low as $29.99 off-contract (albeit locked to AT&T) in recent weeks, and is currently available for around $50-$60. The Lumia 640 impressed me enough not only to score highly in my review, but also to win a place in my own personal portfolio of devices: I was so taken with it that I’ve since bought one for myself – and as far as I’m concerned, there’s no higher praise than that. Like the smartphone space, the tablet market has no shortage of unapologetically awful devices available at temptingly low prices. You may well have seen examples of these in ads on the web – they usually promise some ambiguous ‘quad-core processor’, a 'high-definition' screen (which turns out to be sub-HD resolution), and an ancient version of Android (with little-to-no hope of ever getting an upgrade to a newer release). 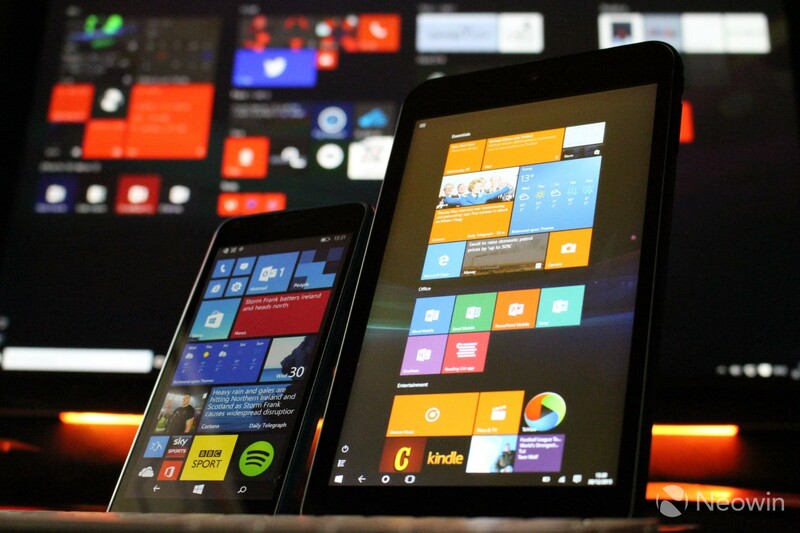 Of course, when Microsoft dropped its licensing fees for Windows on smartphones and small tablets in 2014, it opened up the floodgates to allow manufacturers to run its OS on similarly low-end hardware. 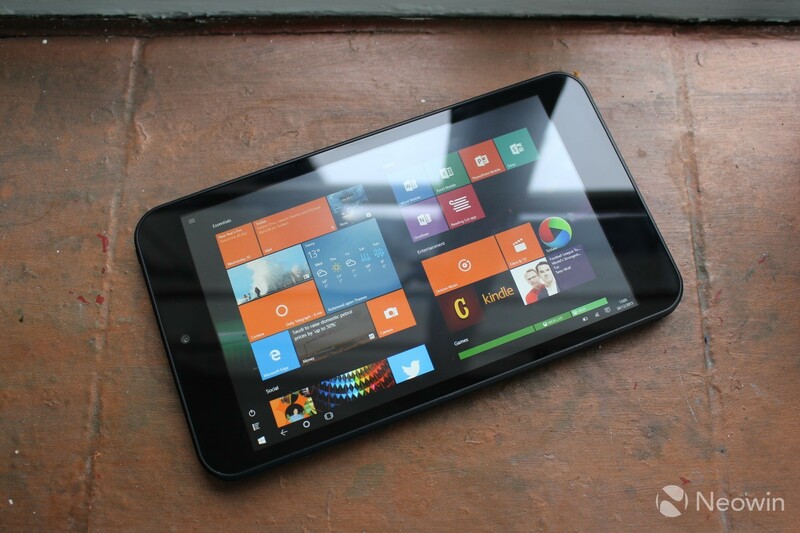 One such example popped up in an article that I wrote just over a month ago, about the Linx 7 tablet being available in the UK at the astonishingly low price of just £39.99 as part of a seasonal promotional deal. The Linx 7 isn’t a new device – it originally launched in the UK in late 2014, but even then, it cost only twice that amount. At £39.99 including 20% value added tax (£33.33 exc. VAT, or just under $50 USD), that made it one of the most affordable Windows devices ever in the UK. 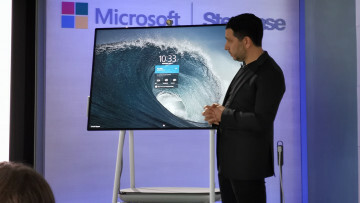 To further put that price into perspective, the price of the tablet was one-third less than the value of the free one-year Office 365 Personal subscription (worth £59.99 inc. VAT) that also came with it. 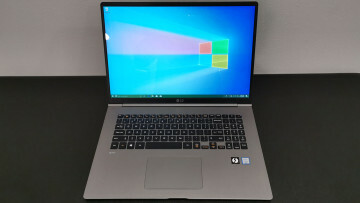 The upgrade to Windows 10 went without a hitch (although it took almost two hours to complete), and after making myself at home – installing my apps, and tweaking the settings to suit my preferences – I was able to immerse myself in using the device on a regular basis. As with my cherished Google Nexus 7 (2013) – another low-cost device that I absolutely adore – the Linx 7 was assigned primarily to the role of a ‘consumption’ device; a tablet on which to browse the web and play a few games at home, or to read an e-book or watch a video on the train. In these tasks, it performed admirably. The 7-inch display is pretty good for such an affordable tablet, with surprisingly rich colors, although the contrast is lacking somewhat. The 1280x800px resolution is acceptable; look close enough and you'll start to see those individual pixels, but you get what you pay for, and it would be unreasonable to expect a Full HD display for this money. Viewing angles are excellent for a device in this price range; cheap LCDs often feature wild color distortion when viewed from any angle other than head-on, but the Linx 7 barely suffers at all in that regard. That makes a huge difference in setting this device apart from many of the other cheap-o-tabs that you’ll find in retailers’ bargain bins. Where the display does suffer a little is in slightly uneven backlighting – but in my experience at least, that’s proved to be less problematic than it sounds. There were also a handful of occasions when it seemed that a tap on the screen hadn't been registered, and I had to tap again; frankly, I could have done without that, but thankfully, these occasions were rare enough that it never felt like a serious problem. Of course, when paying so little for a device such as this one, you can’t reasonably expect it to match competitors that cost many times more – and performance is one area in which you’ll have to be prepared to adjust your expectations to get the most out of the experience. I went into this expecting very little, and as a result, the Linx 7 managed to delight me... most of the time, anyway. 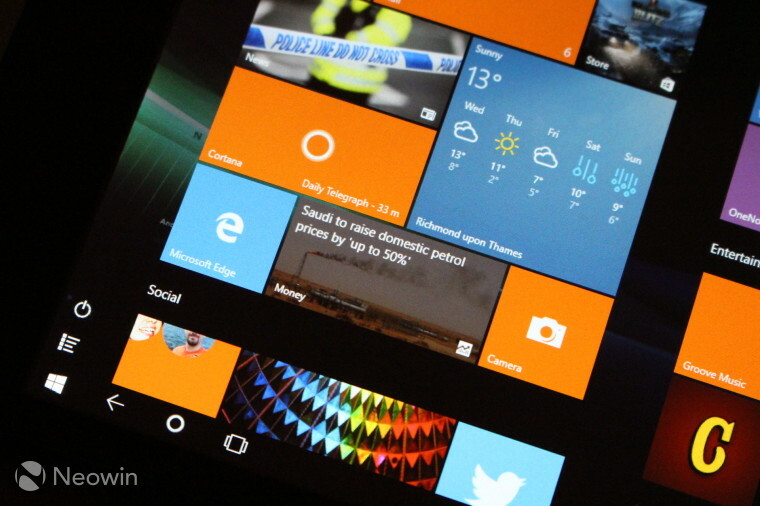 Windows 10 runs surprisingly well despite the low-end hardware. Switching between multiple open apps and games was pretty quick, and Windows Store apps loaded swiftly and without lag. There were a couple of occasions when closing apps would cause the system to lag for 2-4 seconds before the Start screen finally appeared, but these occasions were certainly the exception, rather than the rule. While the Linx 7 runs full-fat Windows 10 Home, rather than Windows 10 Mobile – which means that you can access the desktop, and run Win32 apps – I kept the device in Tablet Mode for almost the entire time that I tested it. Win32 apps, such as full Office 2016, can run on the Linx 7, but the user experience of using them on a relatively small display makes this less than desirable. 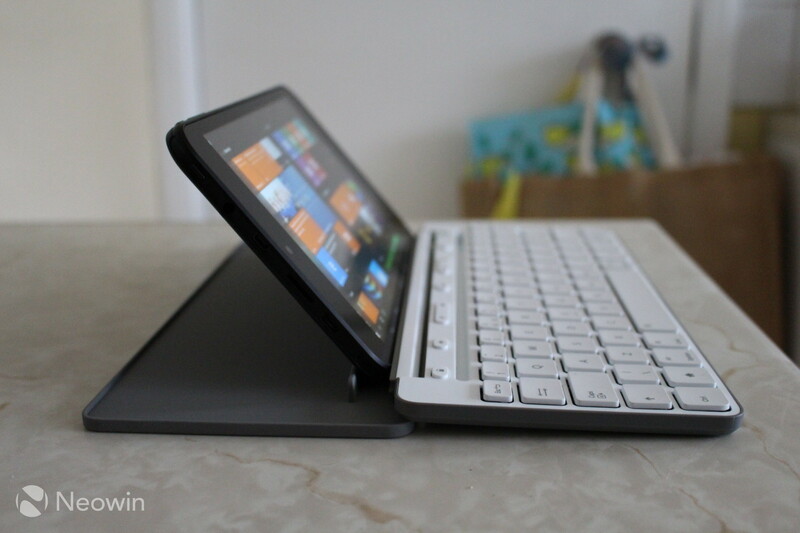 I chose to use the Office Mobile apps instead, and paired with my Microsoft Universal Mobile Keyboard – which you can buy for as little as £46 in the UK, or around $40 in the US, it transformed the Linx 7 from being a mere consumption device into a surprisingly useful and even more portable alternative to carrying my Surface Pro 3 or Lenovo Yoga 13 notebook around with me. 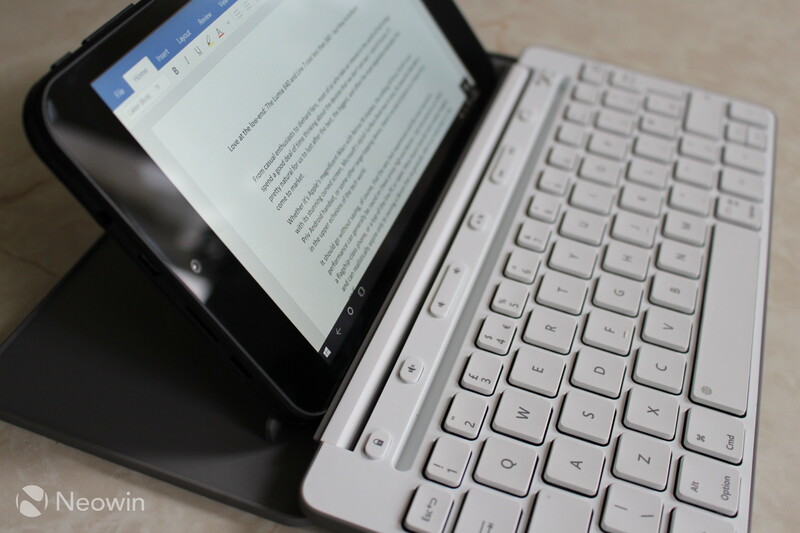 Indeed, I wrote endless emails, documents and articles – including this one – on the Linx 7 using the Universal keyboard, whether in coffee shops and bars, in the back of a taxi, or lounging around on the sofa at home. And thanks to the mini HDMI port, I was able to take the tablet around to friends’ homes, hook it up to their TVs to watch a couple of movies off the device, or blast some of my terrible music choices via the Groove app through the TV. Video playback – both through the Movies & TV app ('Films & TV' in the UK) or via YouTube, Vimeo et.al in the Edge browser – was mostly flawless, although there was one occasion, when playing a 1080p video, on which the device choked and spluttered a bit. Restarting the app and resuming playback from where we left off cured that problem though. Battery life was the one area in which the Linx 7 was genuinely disappointing, though. I got as little as 2.5 hours of battery life while watching 480p video or using the Edge browser (an astonishing battery-killer there), and no more than five hours of usage when avoiding Edge and sticking to other non-game apps. 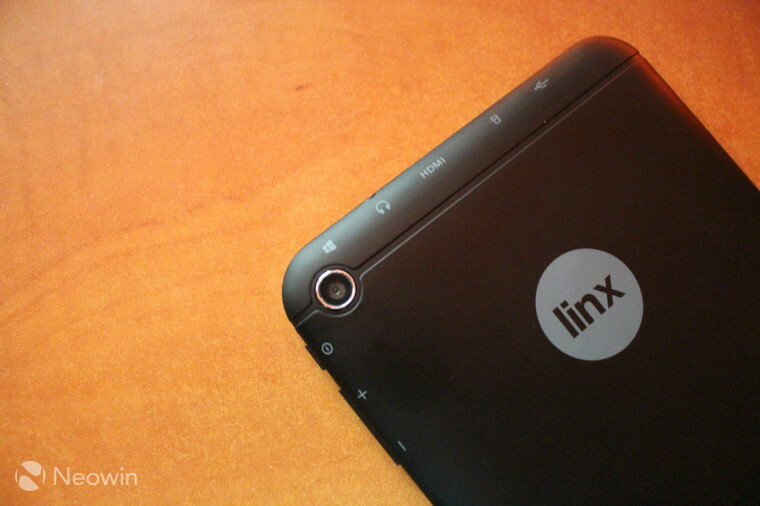 The Linx 7 is far from perfect. 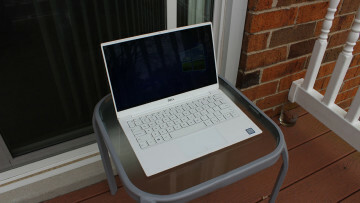 It’s not especially light; its display – while undeniably impressive in its price range – has that uneven backlighting; and the tablet’s performance is adequate, but you can get the sense that you might be reaching its limits sooner that you may have expected (an extra gig of RAM would probably have made a big difference there). And yet, I really like this thing. For under $100 – between the cost of the tablet and the keyboard – you can own a remarkably capable (albeit pretty basic) PC, and as far as I’m concerned, that’s simply wonderful. 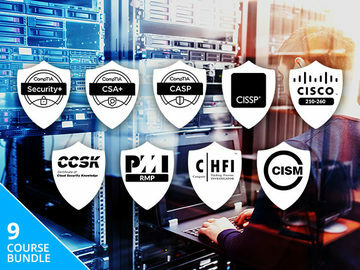 While most of us lust after the most lavish tablets, laptops and desktops that cost huge amounts of money, not everyone can afford to throw down hundreds, or even thousands, of dollars on higher-end hardware; indeed, in these straitened times, many can scarcely afford to spend more than the most modest sums on new devices. The Linx 7 – and no doubt many other devices like it – shows that you don’t have to spend top dollar to get a device capable of covering the basics pretty well. With the additional spend on the keyboard, it could be a suitable candidate as a no-frills portable PC for buyers who can't justify splashing out on a full notebook; and even without the keyboard, it could work nicely as a handy companion for browsing and media consumption at home; or simply a low-cost tablet for one of the kids. That said, if you do get the Linx 7 specifically, you’ll need to make sure you keep your charger close by. If you expect the most affordable devices to compete on performance and features with those that cost many times more, you’ll be disappointed. But if you adjust your expectations to a more realistic level, and buy a device that suits your budget – buying the device that you actually need, not merely the device that you desire – you might just be pleasantly surprised by how far you can go without spending a small fortune. 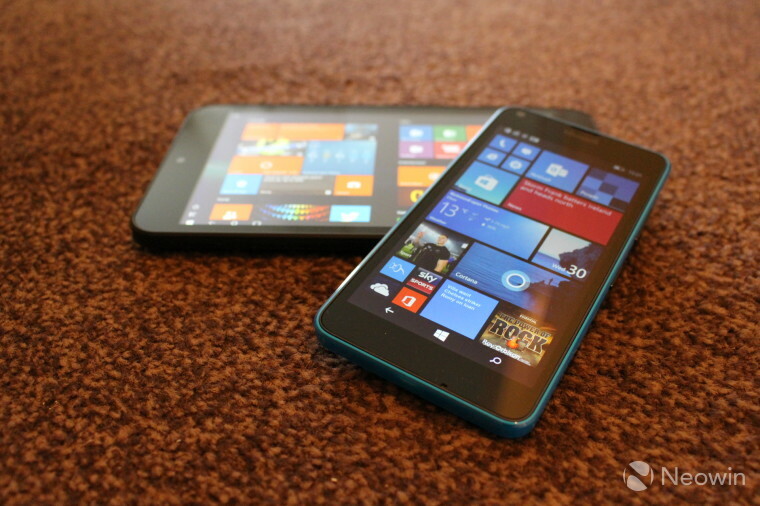 The Lumia 640 and Linx 7 are great examples of this. Neither one is flawless, but for the price, I think they’re both brilliant.